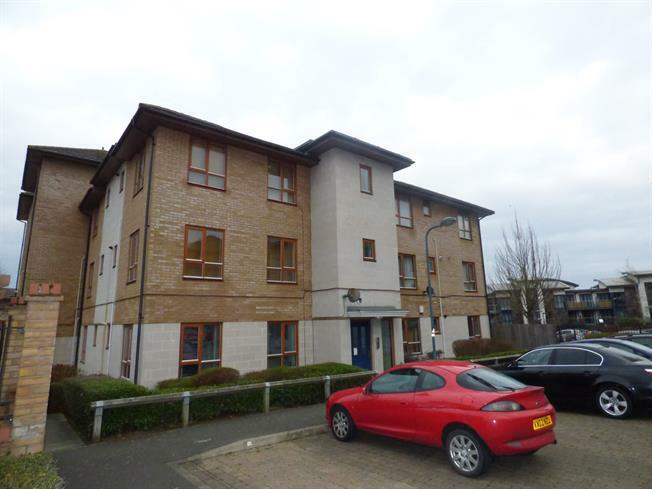 2 Bedroom Flat For Sale in Milton Keynes for Asking Price £79,500. Offered for sale on the popular shared ownership scheme, this delightful two bedroom ground floor apartment is offered as a 40% share. The accommodation in brief comprises of communal entrance, entrance hall, entrance hall, lounge/diner/kitchen, two bedrooms, bathroom and allocated parking. NB: The for sale figure includes agreed fixtures and fittings. TBC. Via communal entrance with further door leading to entrance hall with built in cupboards and doors to the following rooms. Single sink and drainer with cupboard under, further range of fully fitted base and eye level units, roll top work surface with tiled surround, space for washing machine and fridge freezer, windows to side and rear aspects, TV/FM points, radiator. Built in cupboard, radiator, window to rear aspect. White suite fitted to comprise of panel bath with mixer tap and shower head, WC with low level flush, pedestal wash hand basin, tiled to splash back areas, frosted window to side aspect.